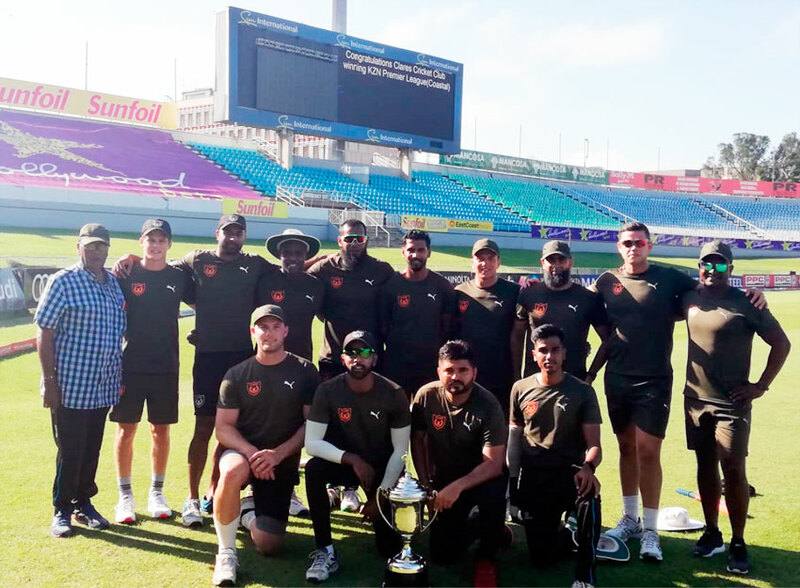 Clares Cricket Club will attend their first ever 50 over Momentum Club Championships in Pretoria in a few weeks’ time after they trounced Standard Cricket Club by nine wickets in the provincial play-off game at Kingsmead Cricket Stadium on Sunday. The team will represent the Hollywoodbets Dolphins franchise and KZN Cricket at the national 50 over showpiece. Having won the Castle Premier League for the first time in their history and also claiming the local T20 League title, Clares had one final hurdle to clear when a good Standard side came to Kingsmead.Bowling first Clares managed to restrict the visitors to 154 for nine in their 50 overs with Vyash Gobind picking up three for 30 in his ten overs while Brandon Scullard and captain Salman Yacoob picked up two wickets each. The chase was never in doubt as the Clares cruised home to a comfortable nine wicket victory in 31 overs.Brad Porteous scored an unbeaten 79 while Khalipa Cele added 30 and Michael Alexander was undefeated on 34 when they wrapped up the victory. Martin Bloy was the only successful bowler for Standard picking up the wicket of Cele.Speaking after the game, Clares captain Yacoob was extremely happy with how his side had played throughout the season and is looking forward to a tough club championships. “We had some really close games this season and I am really happy with how this team has grown since we were promoted three seasons ago,” Yacoob said. “This season the highlight for me was the convincing win that we got over Crusaders earlier in the campaign. ”It won’t be the first trip that Clares will be taking to a national club showpiece this season. They ended third at the T20 championships last year and Yacoob believes the side learnt a lot from that experience. “We will definitely be going into this club championships with a better mind-set and we will have two weeks now to prepare for the competition. “It is going to be a tough ask but we have more experience now and we believe that in 50 over cricket we will have more time on our hands,” he added.